With a foreword by AOL co-founder Steve Case, THE INNOVATION BLIND SPOT: Why We Back the Wrong Ideas—and What to Do About It (BenBella Books; on-sale September 12) by Ross Baird sheds light on why many great ideas don’t see the light of day, for reasons entirely of our own making, and highlights the unexpected people and places that are innovating around innovation. Ross Baird is the founder of Village Capital, a firm that finds and invests in entrepreneurs solving the most important problems in society. He also serves on the faculty of the University of Virginia, where he teaches entrepreneurship and impact investing. He has written articles for Entrepreneur and Inc. Follow him @RossBaird. Challenge yourself to a new type of exercise with Creative Sprint! This interactive workbook is filled with 30-day challenges designed to build your creative muscles. Follow along with prompts to get you drawing, journaling, taking photos, and making collages – doing anything creative that you choose to do! Each sprint has a theme, like Think Small, Work with the Unexpected, and Embrace Limitations. Throughout the book you’ll find features focused on fellow sprinters, as well as inspirational quotes, and every sprint ends with a recap that encourages reflection. How you use the book is up to you! Complete sprint after sprint, channeling your creativity into new challenges. Or pick up the book every couple of months if you feel like you need a jolt of motivation! Noah Scalin is a co-founder of Another Limited Rebellion, an art and innovation consultancy that develops creative potential in individuals, organizations, and communities. He is also the creator of the Webby Award winning Skull-A-Day project and the first artist-in-residence at the Virginia Commonwealth University School of Business. Noah is the author of five previous books on design and creativity and has traveled the world bringing his message of creative potential and design activism to everyone from incarcerated teenagers to Fortune 500 executives. Mica Scalin, co-founder of Another Limited Rebellion, has been an innovator in the use of art and media for community engagement and creative development for over a decade. She has worked with independent artists and for Showtime, CBS, NBC and the groundbreaking non-profit JDub. From grassroots to broadcast, her passion lies in creating cultural experiences that make meaningful connections between people. She has a BFA in photography. For more on the book and its authors, visit CreativeSprint.co. Decoding Silicon Valley: The Insider's Guide decodes the mystique of Silicon Valley, including the more subtle aspects that are hidden in plain sight. Learn about Silicon Valley best practices for growing and scaling companies, the Valley's unique vantage point for evaluating startups, and what rules can and should be broken in the course of building a global business. Understand the value of experimenting and iterating until either you succeed or run out of time and money. 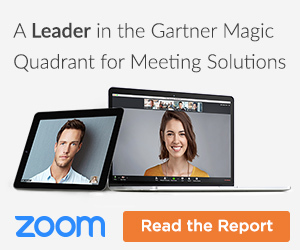 Included are interviews with more than two dozen Silicon Valley insiders, including entrepreneurs, service professionals, and venture capitalists: Ann Winblad of Hummer Winblad, Dave McClure of 500 Startups, Joe Kennedy of Pandora, and Phil Libin of Evernote. The interviews provide colorful stories, surprising anecdotes, and telling insights about what really happens in Silicon Valley. Michelle E. Messina is serial entrepreneur who brings strong sales, marketing, and business development skills to startups everywhere. She pioneered the Silicon Valley best practices training of startups in 2004 and has worked in more than 35 countries. Michelle believes that being an entrepreneur is the hardest thing you’ll ever enjoy doing. Jonathan C. Baer is a recovering venture capitalist who loves working with early stage companies around the world. He was the founder and CEO of two venture-backed companies. He believes that startups require tough love; and need to focus on money, metrics, and milestones. Today Jon teaches startup CEOs to say less, because less is more. –This text refers to the Paperback edition. For more on the book and its authors, visit DecodingSiliconValley.com. In today's corporate world, 87 percent of companies fail to successfully execute the strategy they set for a given year. 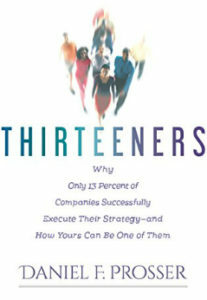 In the pages of this book, CEO mentor and Coach Dan Prosser shows you how to make your company one of the other 13 percent–a Thirteener. 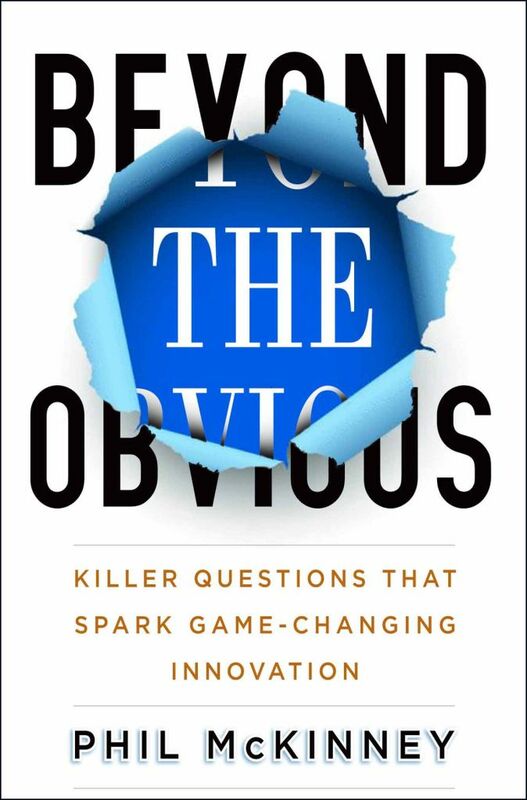 In the process, he explains that the true challenge of building a great company–one that consistently executes its strategy–is understanding the real nature of human interaction and the key to success: connectedness. Whether you're a successful CEO, business owner, entrepreneur, or leader, or whether you're struggling to build the business you've always wanted, Thirteeners will help you. For more than 45 years, Dan Prosser has been a successful entrepreneur, CEO mentor and coach, team educator, software developer, speaker, and author. His work with clients has created Fortune 500/5000 Fasting Growing and Best Place to Work companies. Prosser has served as chief strategist on board of directors for non-profits. His independent research into Best Place to Work companies has uncovered a unique understanding of the distinctions that exist within these exceptional workplaces–distinctions that make them achieve 2-3 times the growth of non-best companies. Prosser lives in Silverthorne, Colorado, in the heart and soul of the Rocky Mountains. What if a few new habits could dramatically increase your productivity, and even 5x or 10x it in key areas? What if you could get an an hour a day to read, exercise, or to spend with your family. 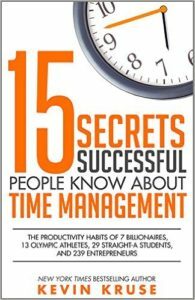 New York Times bestselling author, Kevin Kruse, presents the remarkable findings of his study of ultra-productive people. Based on survey research and interviews with billionaires, Olympic athletes, straight-A students, and over 200 entrepreneurs—-including Mark Cuban, Kevin Harrington, James Altucher, John Lee Dumas, Pat Flynn, Grant Cardone, and Lewis Howes—-Kruse answers the question: what are the secrets to extreme productivity? Kevin Kruse is a NY Times BESTSELLING AUTHOR, and entrepreneur who has used a relentless focus on Wholehearted Leadership and employee engagement to build and sell several, multimillion dollar technology companies, winning both Inc 500 and Best Place to Work awards along the way. Kevin is also the author of several books including Employee Engagement 2.0, 15 Secrets Successful People Know About Time Management, Employee Engagement for Everyone, and the NY Times, Wall Street Journal and USA Today bestseller, We: How to Increase Performance and Profits Through Full Engagement, which was named one of the top leadership books in 2011 by 800-CEO-Read. 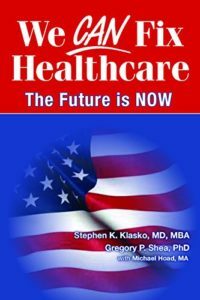 Dr. Stephen K. Klasko proposes an extraordinary, even science fiction, event where a no-blaming conversation about the healthcare system leads to an optimistic new future. As a result of this bending of the time-space continuum, even Democrats and Republicans find they can collaborate on 12 disruptive transformations. Built on 100 interviews from every part of the system, Steve Klasko, Greg Shea and Michael Hoad find extraordinary solutions from medical education to reimbursement to health disparities. The book argues that if we stop blaming each other, trends we now see as disruptive will actually be solutions to fix healthcare in America. 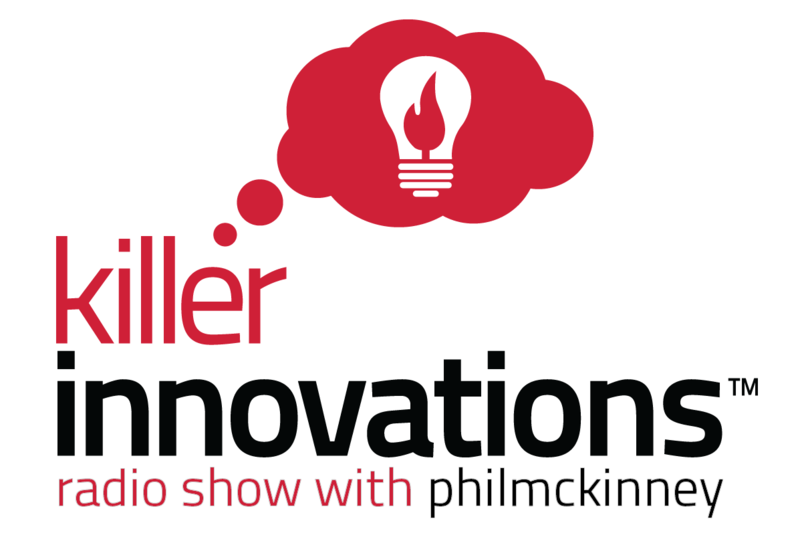 Stephen Klasko's interview on the Killer Innovations Radio show. Stephen K. Klasko, MD, MBA is the President of Thomas Jefferson University and CEO of Jefferson Health, leading 11 hospitals, 25,000 employees and 10,000 students. He has been dean of two of America s medical colleges and the chief executive of three academic health systems. At each institution, he has built programs to develop the clinicians of the future, and in building a partnership of Thomas Jefferson University with Philadelphia University, he is building the university of the future. He is married to Colleen Wyse, a Vice President for Visit Philadelphia, and has three children: Lynne, David and Jill. Gregory P. Shea, PhD is Adjunct Professor of Management at the Wharton School of the University of Pennsylvania, Senior Fellow at Wharton s Center for Leadership and Change Management, and Adjunct Senior Fellow at the Leonard Davis Institute of Health Economics. He has consulted extensively in industries undergoing massive changes, most recently being healthcare. Dr. Shea graduated Phi Beta Kappa from Harvard College and holds an M.Sc. in Management Studies from the London School of Economics and a PhD in Administrative Science from Yale. Michael Hoad, MA, born in Guyana and raised in Kingston, Jamaica, became a journalist after stints at Yale University, Stanford University and the Poynter Institute for Media Studies. Heused those skills to name, rebrand and lead communications for USF Health and eventually became Vice President of the University of South Florida. His passion is family history and generational narrative. He serves as Executive Editor of the journalzine Healthcare Transformation. Generating and executing great ideas is the key to staying ahead in the rapidly changing world. It seems so basic. Why is it so hard to actually get it right? 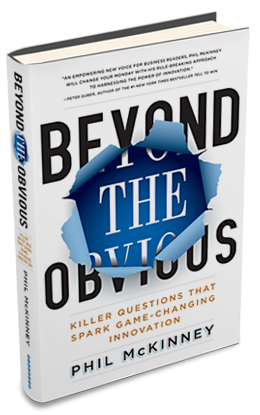 According to innovation expert Phil McKinney, the real problem is that we’re teaching people to ask the wrong questions about their business — or none at all. There has to be a better way and Beyond The Obvious shares how.